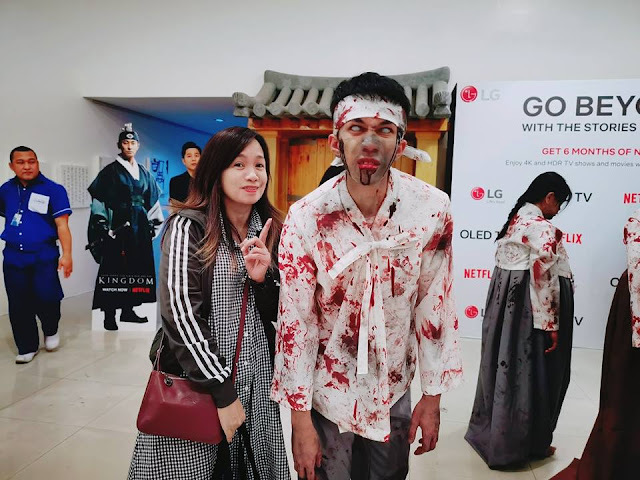 Lemon GreenTea: LG Electronics Philippines and Netflix PH celebrates the launch of new original Korean drama-thriller "Kingdom"
LG Electronics Philippines and Netflix PH celebrates the launch of new original Korean drama-thriller "Kingdom"
If youre a fan of Zombie movies! Check. If you like them running in droves. Check. If you have seen the Korean zombie movie Train to Busan and loved it. Then this one's for you. 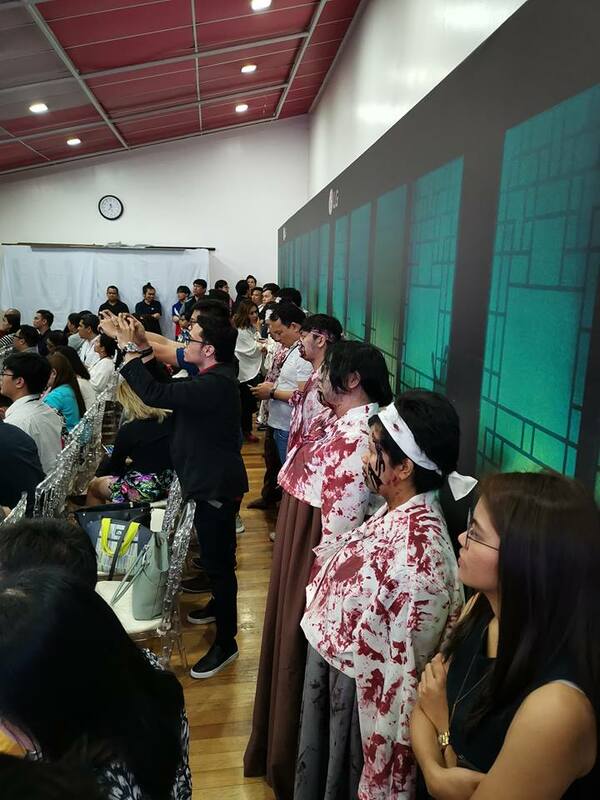 LG Philippines partners with Netflix PH for the zombie apocalypse Korean thriller series "Kingdom". We actually had first dibs watching the first part preview screening of Kingdom. It was scary and intense, and kept me glued to the screen the whole time. I just could not wait to watch the whole K-drama thriller series tomorrow! Set in Korea’s ancient Joseon Period, “Kingdom" follows the journey of a crown prince sent on a suicide mission to investigate a gruesome plague spreading inside the kingdom only to find zombies threatening his reign and his people. Zombies embody this horror perfectly. On January 25, 2019, Netflix will be releasing a contagious case of binge-watch fever as it launches its newest original Korean series “Kingdom”. 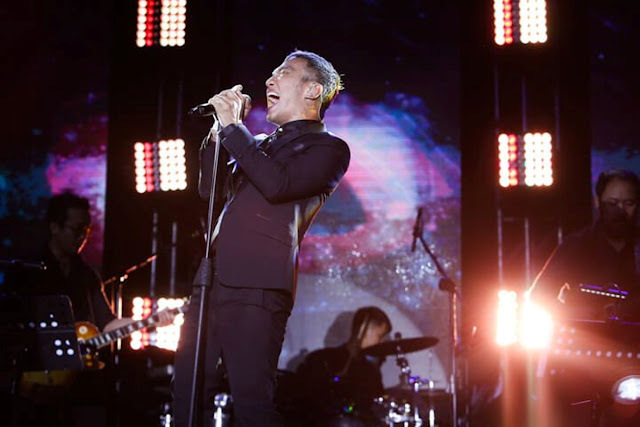 To take this launch to the next level, Netflix Philippines once again strengthened its partnership with global electronics and home entertainment giant LG. 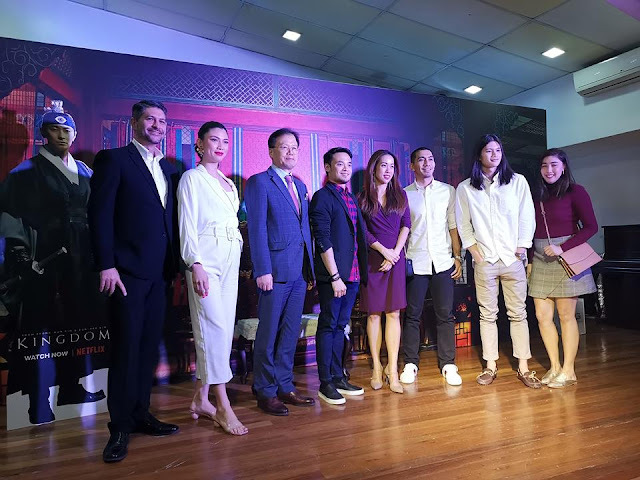 LG Philippines is also delighted to share this exciting milestone with some of the country's brightest personalities as brand ambassadors, such as TV Host, car and road safety advocate James Deakin, the “Iron Man’ of the Philippine Basketball League LA Tenorio, actor Gil Cuerva, Bb. Pilipinas 2016 Nicole Cordoves, and Lifestyle, Travel Vlogger Dani Barreto. 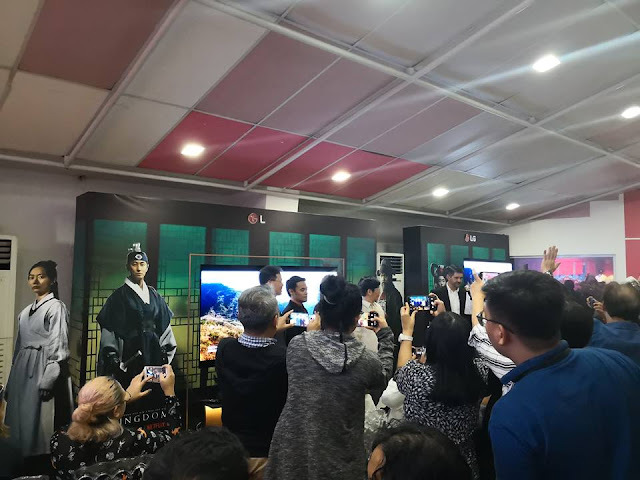 LG Philippines recently launched its 30th Anniversary TV the OLED B8 4K TV and it’s the best way to give justice to the thrill and excitement of “Kingdom” and its mind-blowing cinematic appeal. 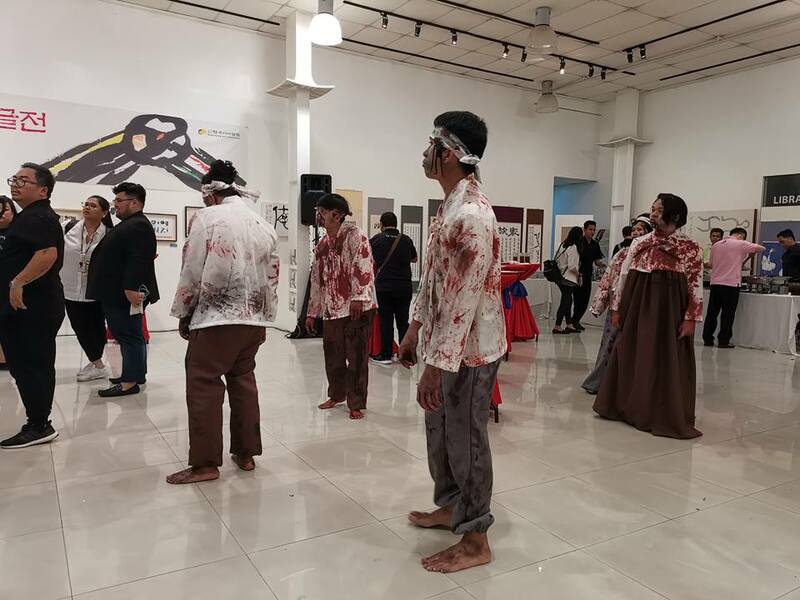 LG Electronics Philippines partnered with Netflix to have a preview screening event on January 24, 2019 with more than a hundred guests at the Korean Cultural Center (KCC). The event was hosted by LG TV Ambassador and social media influencer James Deakin. Guests were treated to a traditional Korean feast and had a blast at the Hanbok photo wall where everyone got to dress up in a traditional Korean Hanbok to pose against the realistic “Kingdom" backdrop. This latest partnership is a reminder of the strength and reliability of the flourishing friendship between the Philippines and South Korea. 2019 marks the 70th anniversary of the friendship between the two nations, which started when the Philippines became the 5th country to recognize the Republic of Korea in 1949. Since then, the mutually beneficial relationship between the two countries has grown in every aspect: economically, technologically, culturally, and even in military and government support. To honor the two countries' thriving relationship and strengthen KCC’s mission to “deepen the understanding and appreciation of Korean culture among Filipinos by providing diverse cultural programs and events”, LG Philippines has donated five 55-inch UHD 4K TVs (four 55UK6300 and one 55UK6500) to the Korean Cultural Center (KCC) in the Philippines. “It is an important celebration of the strong relationship between Korea and the Philippines, which started in 1949. To honor this friendship, we at LG always go beyond the call of duty to provide excellent home entertainment products and appliances to millions of Filipinos who have supported us from the beginning. It is our pleasure to contribute in strengthening the bond between our two countries," shared LG Philippines Managing Director Mr. InkwunHeo. This growing partnership between LG Philippines and Netflix Philippines further solidifies the bond between Filipinos and Koreans. While LG has a number of TVs that are officially recommended by Netflix after passing a series of rigorous tests, the B8 4K OLED TV is one that stands out from the pack. It boasts a list of impressive features, starting with its top-of-the-line 55” 4K Cinema HDR display providing sharp contrast and vibrant colors. The B8 is made to deliver an immersive viewing experience powered by the Smart Brain a7 lntelligent Processor to make sure all TV functions and features are working together for a seamless user experience. Aside from its stunning visuals and cutting edge smart TV technology. LG has equipped the B8 4K OLED TV with a Dolby Atmos® sound system for a true cinematic experience in the comfort of your own home. Take home the LG B8 OLED TV the most competitively priced high quality OLED TV in the market today -for P89,991 (cash price). As a gift, every purchase of the LG B8 comes with six (6) free months of Netflix access, so the entire family can enjoy high quality entertainment at home.